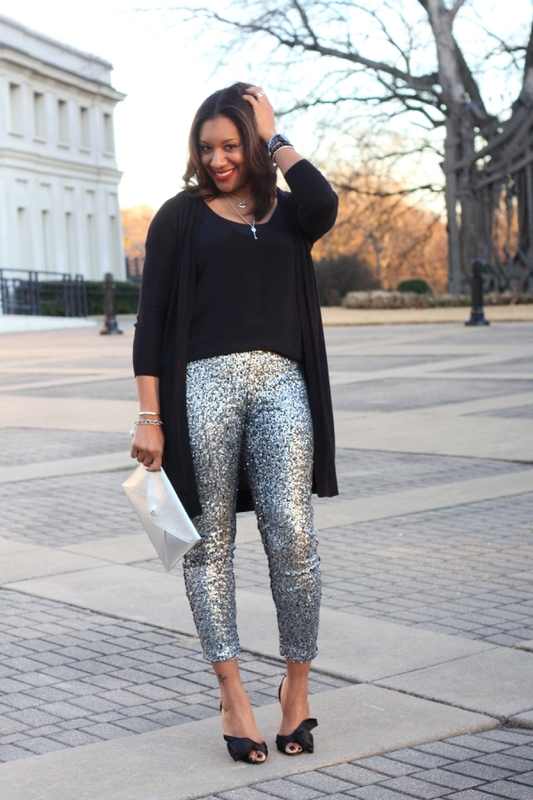 According to Q, statement pants can bring life to your outfit and the party! Whether they are covered in embellishments or bright and fun, keep the rest of the outfit simple and let the pants truly stand out. 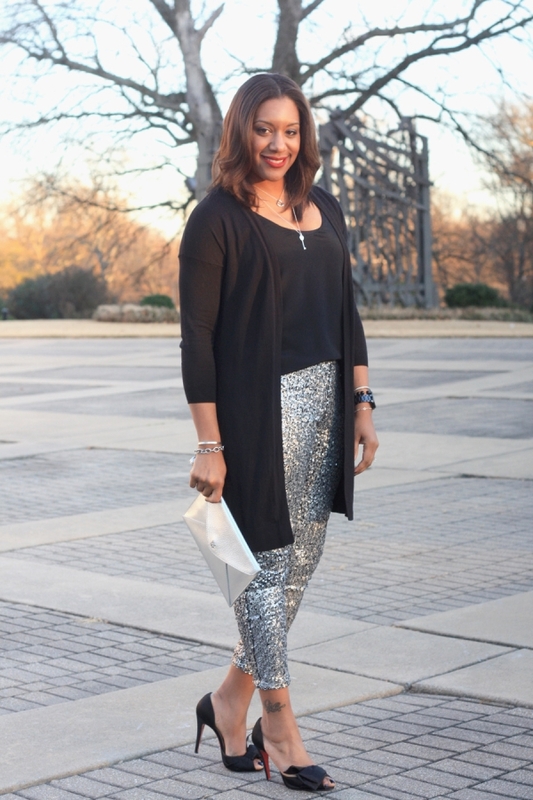 Metallic accessories are a no-brainer and off to a holiday party, art show, or night on the town you go! 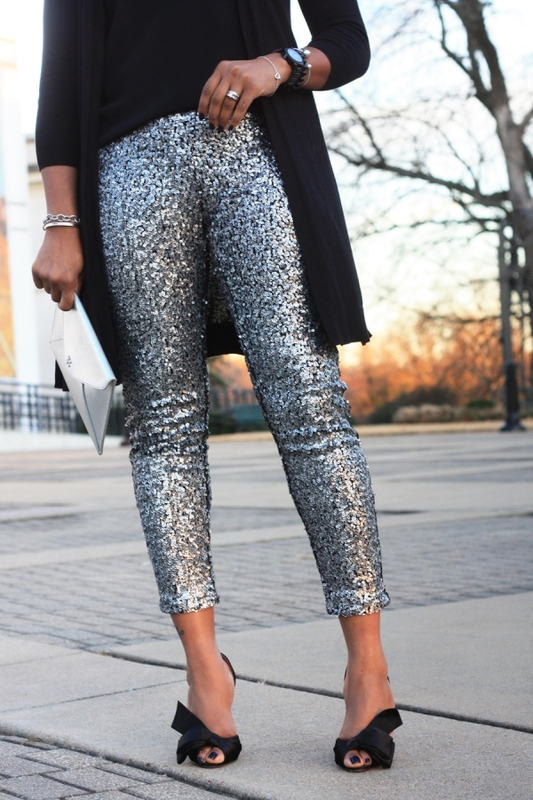 those pants are fabulous and so are your shoes! gorgeous outfit for NYE! Thanks a lot Amy & thanks for stopping by and checking me out! I need those pants and shoes. Please and thank you!!! 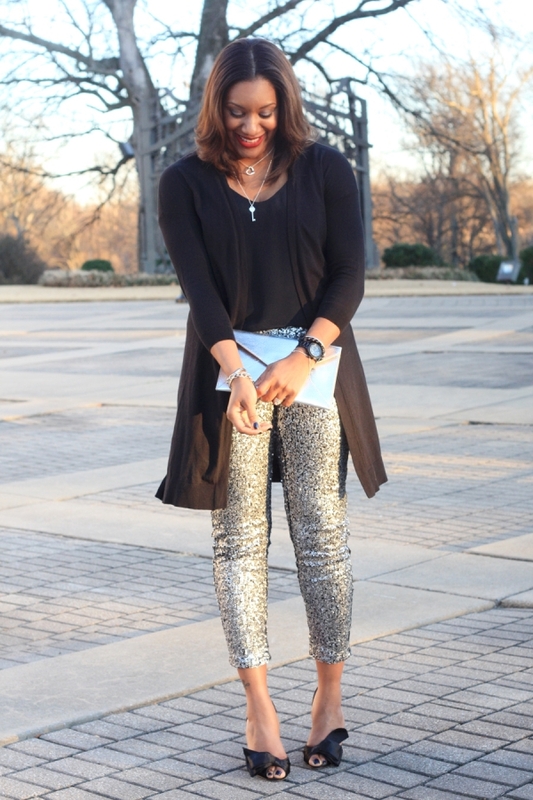 Loving the sequin! Nice outfit! Thank you and thanms so much fpr stopping by! Your comment was posted AGES ago. Thank you so much for the compliment. Forgive me for the delay in responding. Been on a little hiatus, so to speak. Coming back soon!